Legacy Boxer Rescuewww.savetheboxers.com | info@savetheboxers.comHello! My name is America, my foster family calls me Ami (like Amy) for short. I was rescued on the 4th of July, urgently in need of medical attention. I was taken to the emergency doggie hospital so they could get me fixed up right away. See, I had a very large wound on my neck/shoulder area. It was infected and needed surgical cleaning, antibiotics, and lots of daily wound care. I was also very skinny and needed some groceries (I was starving). I was very scared for a while, everything was new and I didn't know if it would hurt me. Slowly I started to trust the people who were helping me and to become more brave!It took almost a year, but my wound is completely healed (I do have a pretty gnarly scar, but I'm told people dig scars because they tell a story of a great adventure. My great adventure brought me to this wonderful new life, so I'm okay with it). My physical wounds were only half my battle though. I was not socialized/treated well in my past life. I take medicine every day that helps me not be so anxious. My foster mom says it doesn't cost much and it helps me feel happy so I don't mind taking it at all. This is what I would picture my forever home to be:* I need a quiet backyard of my own. The outdoors are pretty scary to me. I can relax when I don’t have a lot of distractions/noises/strange moving things. Sometimes walks are even ok if I have my furry foster brudder with me. Apartments are too noisy. * I would like to have a new fur brother to help me be brave. I may be scared of him at first, but once I know he won't hurt me, I will need him to help show me new things are ok.* It takes me some time to get comfortable with new humans, so I would really prefer a quiet home that my human(s) can let me sit on their lap(s) without a lot of new people always coming over. I love to snuggle! * I would love to have toys! I love to play with my toys! I love to squeak them, chase them, fetch them and chew on them. * Lastly….I need someone that will give me time to trust and love them. As new situations tend to scare me, I ask that you have patience with me. I am REALLY worth it. I will forever pay you in kisses. If you are interested in adopting me, please fill out our adoption application to begin the process. If you aren't able to adopt at this time, please consider making a much needed, tax-deductible donation to Legacy Boxer Rescue by clicking here. Not what you were looking for? You can adopt a different pet in Hurst by using our search feature and adjusting the radius. Thank you for helping our animal shelters and rescue groups with pet adoption! For every life there is a legacy. In many instances the legacy passed down is not as it should be and requires help from caring souls to be fulfilled. It is our belief that all Boxers should have a legacy befitting of their wonderful enthusiasm and love of life, but sadly, this isn't always the case. We, the founder and volunteers of Legacy Boxer Rescue, have made it our mission to seek out these Boxers and create a legacy they deserve, a loving family and home of their own. We firmly believe that a Boxer's future should never be uncertain, so we will help to create better, happier legacies for them; one Boxer at a time. A legacy that replaces despair with hope, sorrow with happiness, fear with security, and pain with love. SO YOU'RE READY TO ADOPT? So, youâre ready to adopt a boxer from Legacy Boxer Rescue? Before we can begin the adoption process, you must fill out an Adoption Application in itâs entirety. The following requirements must be met before an adoption can take place: * Applications will only be accepted within the Dallas/Ft Worth Metroplex. Please email us if you are outside of this area so that we can assess your situation individually. * Any other pets that you have must be fully vetted, this includes that they be spayed/neutered and up to date on ALL vaccinations. No exceptions will be made to this rule, so please do not apply if your pets are not spayed/neutered and current on vaccinations. This also includes cats! All dogs and cats (since it was only recently discovered that cats are susceptible to heartworms some exceptions may be made for indoor cats in this regard) must also be tested for heartworms and on some form of heartworm prevention. If you purchase heartworm prevention and/or flea/tick products through an online pharmacy like www.petcarerx.com we will need copies of your purchase history which can be obtained from the online pharmacy. * All applicants must be 21 years of age and living on your own. If you are under 21 and living at home with your parents, please have them fill out the adoption application for you. * If you have children under the age of ten, certain criteria will need to be met before a boxer is placed in your home. LBR will be happy to discuss this with each family as the need arises. * All domesticated animals (with the exception of feral cats) must be kept as indoor residents of your home. We do not place our boxers in homes with or as outdoor companion animals. * We will not place two female dogs in the same home. With the dominance issues commonly seen in females, we feel we can increase the odds for a successful adoption by not placing females in the same home together. ONCE WE'VE RECEIVED YOUR APPLICATION... Once we have received your completed application, here is a list of what you can expect. We realize that this seems like a lot, and it may even seem invasive to some, but we want you to adopt a boxer if you meet the criteria described herein, so please bear with us. Most, if not all, of our volunteers work full time and have families of their own to care for, and we do our best to ensure that all applications are processed in a timely fashion but we do ask that you please have patience. * An LBR volunteer will check the personal and veterinary references listed on your application. Since most vets require their clients permission to release any records, please contact your vet so that we are able to complete the vet check for your application. Once the personal and veterinary references are checked, and deemed acceptable, an LBR volunteer will contact you to schedule a home visit. We conduct the home visit to ensure that our boxers have a safe and loving environment to call home. * On the application, you are asked to list any boxers that you have seen on LBRâs website that you may be interested in adopting. But please be aware that often times we have more than one applicant interested in the same boxer. In that case, the home best suited for the boxer will be chosen for placement. LBR does not do adoptions on a âfirst come, first servedâ basis, and in many cases we may make a recommendation depending on your circumstances. * After finding a boxer that you and LBR are in agreement would be a good match for you, we ask that you make arrangements to meet the boxer. Generally, this involves attending one of our Meet Our Boxer events, or we may ask the foster family to contact you directly. When you visit a boxer, we ask that all family members be present, as well as any current pets if possible. * In some cases, we may feel that a particular boxer is not a good match for you and your family, please do not be offended by this. LBR does not take the placement of a boxer lightly, and we strive to do our best to ensure that each placement is forever, as many of these wonderful boxers have led very unstable lives before coming into rescue and we only want what is best for them. We will be happy to disclose our reasons for the decisions that we make in this regard. WHAT HAPPENS WHEN MY APPLICATION IS APPROVED? Once your application has been approved and you have found the boxer of your dreams, there are only a few items remaining in this process. * Our adoption donationâs range from $125.00 to $300.00 depending on the dog being adopted. This determination is based on many factors, to include, but not limited to the dogâs age and any past adoption history with LBR. Our boxers are examined for any health issues, spayed/neutered, fully vaccinated, heartworm tested, and are protected from heartworms, fleas and ticks while in foster care. LBR uses Revolution, an all-inclusive topical agent for heartworm, flea and tick prevention, or Heartgard HW Prevention and Frontline Flea/Tick Prevention. While in foster care, LBR volunteers work with the boxers on basic obedience commands, but we cannot guarantee that every dog will learn basic obedience commands while in foster care. LBR always recommends that the new owners find a training center that utilizes only positive training techniques for their new family member to help him or her be the best possible companion animal for you and your family. * Upon adoption LBR will have you sign a legally binding adoption agreement. If there ever comes a time when you wish to give up your boxer he/she MUST be returned to LBR as stated in the adoption agreement. 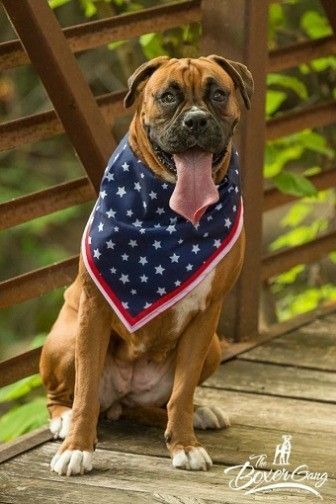 Adopter also agrees that the provided Legacy Boxer Rescue tag will remain on the boxer at all times, and LBR must be notified if the boxer is ever lost or stolen, we have many resources in the area that could help in locating your boxer should such an event ever take place. * Be prepared for the arrival of your new boxer, please click here for a list of items that LBR recommends that you have on hand when he/she comes home.